Moscow, October 7, Interfax - The fate of Christians and other ethnic and religious minorities in the Middle East is a source of concern for Moscow. “Historically, Russia has helped and supported fraternal Christians that were harassed and discriminated against and defended their rights and interests, with arms in hand, if need be. Therefore, we are naturally worried about the future of the 2,000-year Christian presence in the Middle East. According to some human rights organisations, in the past seven years the number of physical attacks and terrorist attacks on Christians in Africa, Asia and the Middle East grew by 309 percent,” Russian Foreign Ministry Commissioner for Human Rights, Democracy and the Rule of Law Konstantin Dolgov said. He spoke on Thursday at the International practical conference Religions against Terrorism, the Foreign Ministry press service reports. “Since the beginning of the conflict in Syria its Christian population decreased from 2.2 million to 1.2 million. Militants target Christian shrines and take Christians hostage. 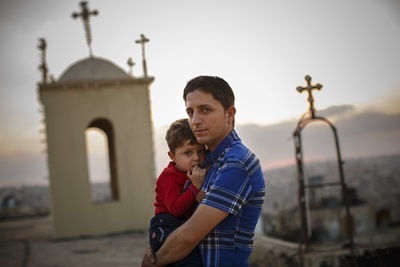 The position of the Christian community in Iraq remains no less difficult. Its population is a tenth of what it was in 2003, falling from 1.5 million to 150,000,” the Russian diplomat cited the statistics. According to human rights activists, Dolgov said, systematic manifestations of Christianophobia were registered in 139 countries and Islamophobia in 121 countries. “Despite measures taken by OSCE member states, there has been a significant rise in intolerance of Jews, Muslims and particularly Christians on their territory. Christianity, its shrines and followers are subjected to harassment, violence and discrimination,” the Foreign Ministry official said.